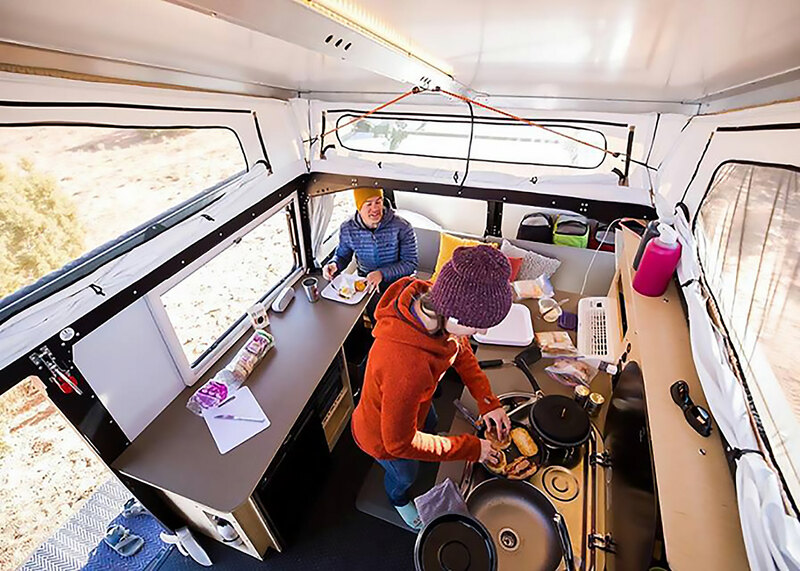 Mantis is an ultimate camper which can be stored in a standard length and height garage. 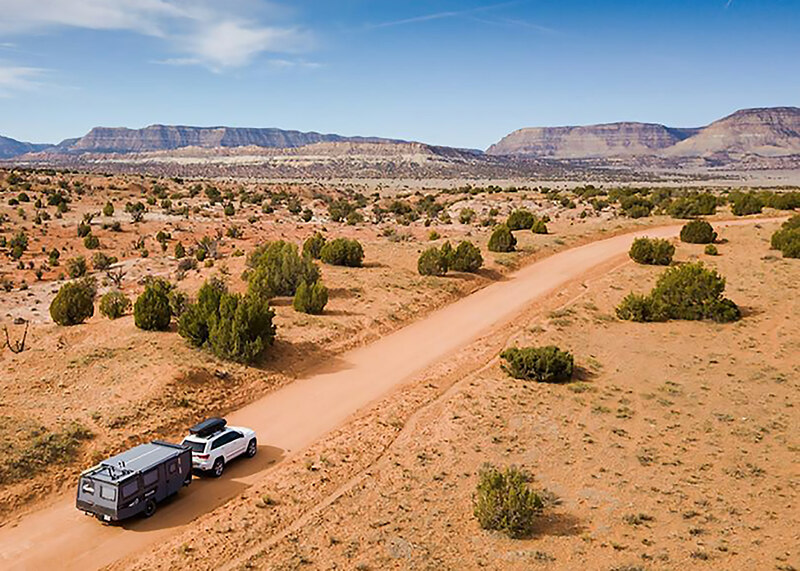 It sleeps four adults and supports seven days of off-the-grid camping. In order to fit two bedrooms, kitchen, bathroom, dining room, and living room in a limited space, versatile and transformable cabinetry solutions were desired. 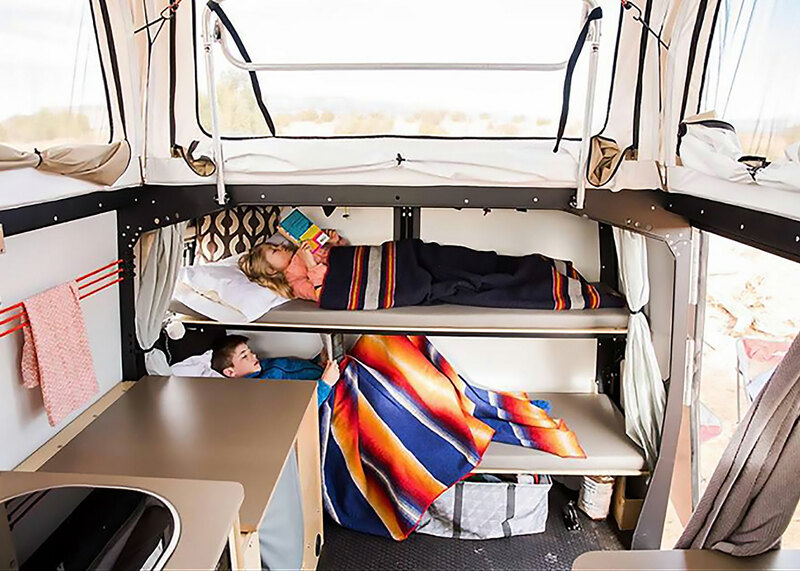 Unlike traditional camping trailers, Mantis has no solid divider walls. 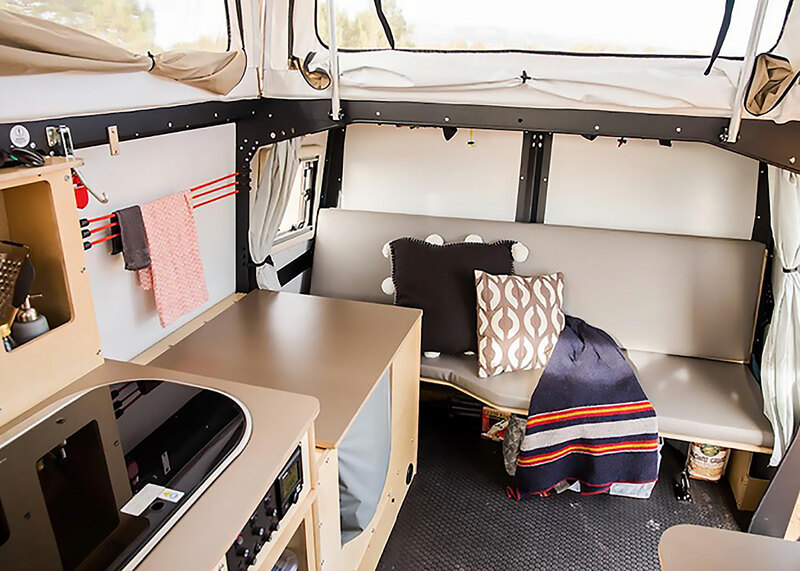 Instead, it can easily switch between large living room mode and private compartment mode with curtains.